Valentine’s Day is right around the corner, and whether cupid has you coupled (add to your wish list) or you are single and fabulous (treat yo self! 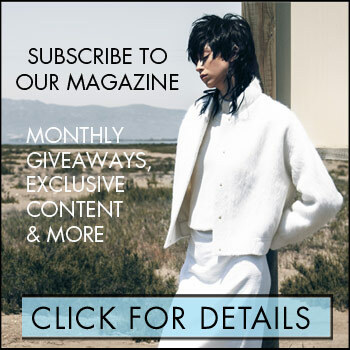 ), we are sharing a few of our favourite gifts. Filled with love, of course. Kate Spade Lips Mock Neck Sweater, $390: Love is in the air and so are the smooches (we never miss an opportunity to air kiss) on this cotton and wool sweater. Covered in pink and red lips, wear either hue on the bottom to look adorably matchy-matchy. Joy Reign HEART EYE$ necklace, $1247: That face! 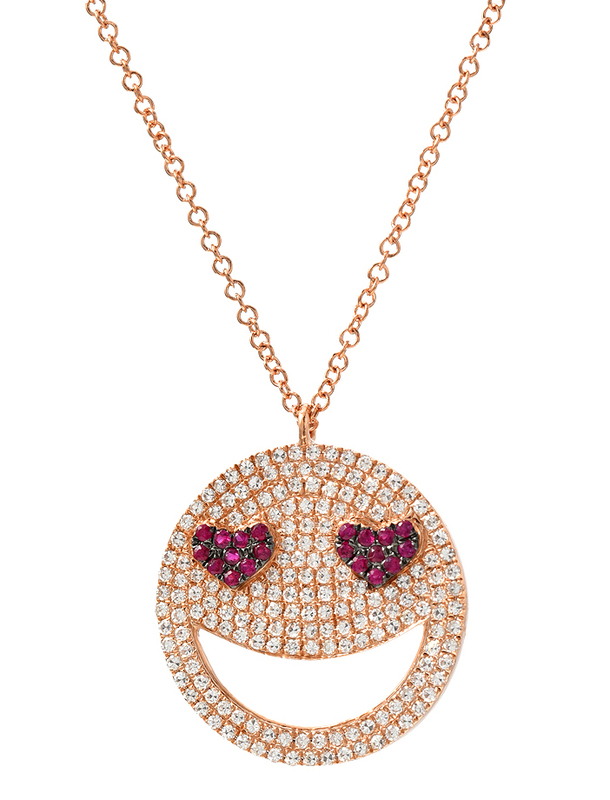 This smiling face emoji with heart-shaped eyes necklace is everything that we love: 14k yellow gold, diamonds, and rubies. No words needed. Sophia Webster Hold Me Bag, $795: Let your bag do the talking. This pink leather bag with speech bubble handle speaks for itself. Channeling conversation heart vibes, it’s saying (‘Hold Me’) is sweet, yet cuts to the chase. 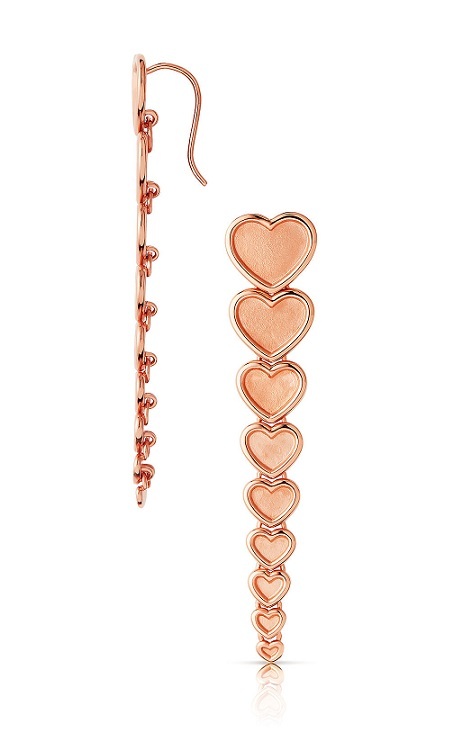 Endless Love 18kt Rose Gold Vermeil Single Drop Earring, $260: Show your ear some love with this tapered heart earring. No date required—these earrings are sold in singles, so if you prefer a pair, you’ll have to grab two. Giuseppe for Rita Ora in ‘Cathy’, $1,195: These red, patent leather, stiletto sandals with a chain-link chrome heel, are a collaboration between footwear designer Giuseppe Zanotti and songstress Rita Ora. This pair is perfect for your special somebody…and by that, we mean you.